He is a first-class advocate who is very good with clients. Daniel works well with all levels of lawyer and will rise through the ranks." Daniel Piccinin specialises in litigation that raises complex economic, financial and commercial issues – in particular competition law. 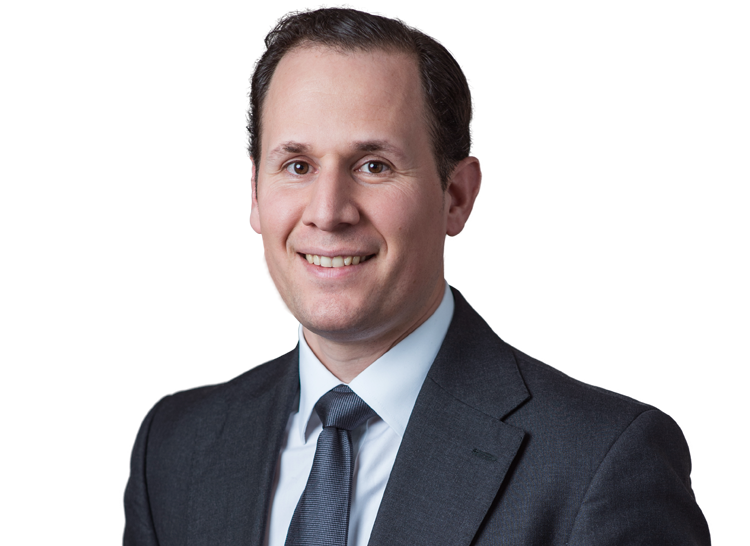 Since leaving his competition specialist practice at Linklaters in 2010, Daniel has appeared, both led and unled, in a number of landmark competition cases at the Bar. He acted for Aer Lingus in the Ryanair/Aer Lingus saga, appearing successfully before the CAT and Court of Appeal on three separate occasions each, as well as acting unled for Aer Lingus in proceedings before the General Court in Luxembourg. He has also appeared in a number of cases in the smartphone wars, most recently for Ericsson in the Unwired Planet litigation. He acted for Dow in the first ever cartel damages claim to go to trial in the UK, for NEG in the CRT Glass damages claim, and LG Display (unled) challenging jurisdiction in the LCD damages claim. He is currently acting for Visa in what is scheduled to be the longest competition law trial of 2016/2017 in the Commercial Court, and is due to defend the CMA’s landmark “pay for delay” infringement decision in the Competition Appeal Tribunal in 2017. He has also appeared at hearings (both led and unled) in several competition law investigations before the UK competition authorities and the European Commission. Daniel’s commercial practice also focuses on cases raising complex economic and financial issues. He has acted in several reinsurance arbitrations raising complex issues of risk allocation, as well as claims relating to the interpretation of derivatives contracts. Daniel’s public law practice is also commercially focused. He acted for Swiss International Air Lines in a case referred by the Court of Appeal to the CJEU relating to emissions trading, and for Philip Morris in a judicial review of the UK’s plain packaging laws. In 2016 he won the Chambers & Partners Competition Law Junior of the Year award and was named as a 2017 Star at the Bar in Legal Week. In 2019 he was nominated as EU and Competition Junior of the Year in the Legal 500 UK Bar Awards. Kinsman Research Prize for best research paper in Economics developed from an Honours Thesis in 2006. University of Melbourne Department of Economics Prize for an Outstanding Tutor in 2006. Economics Honours Prize in Honours Program in Economics, for finishing equal first in 2005. Jean Polglaze Memorial Prize in 316-475 Economic Research Essay for best Economics Honours Thesis in 2005. Law and Economics Prize in 2004. C Ahlborn and D Piccinin, "The Great Recession and other mishaps: the Commission's policy of restructuring aid in a time of crisis", in Research Handbook of State Aid Law, E. Szyszczak (Ed. ), Edward Elgar 2011. N Purnell, C Bellamy, N Kar, D Piccinin, and P Sahathevan, "Criminal Cartel Enforcement - More turbulence ahead? The implications of the BA Virgin Case", Competition Law Journal 2010(3), 313. C Ahlborn and D Piccinin, "The Application of the Principles of Restructuring Aid to Banks during the Financial Crisis", European State Aid Law Quarterly 2010(1), 47. C Ahlborn and D Piccinin, "Between Scylla and Charybdis: Market Investigations and the Consumer Interest", in Ten Years of UK Competition Law Reform, B. Rodger (ed), Dundee University Press 2010. N Erkal and D Piccinin, "Cooperative R&D under uncertainty with free entry", International Journal of Industrial Organization, 2010, 28, 74-85. N Erkal and D Piccinin, "Welfare-reducing mergers in differentiated oligopolies with free entry", Economic Record, 2009, 1-7.